Identity Preserved Supports Brain and Nerve Function Integral for Energy Production* The word Lecithin is taken from the Greek Lekithos, which means "egg yolk". A fitting name for this essential nutrient, for the egg is considered a symbol of life, strength and fertility. Lecithin is important for all of these biological functions and more. Our brain is approximately 30% Lecithin. The insulating myelin sheaths that protect the brain, spine and thousands of miles of nerves in your body are almost two-thirds Lecithin. Even the heart has a high concentration of Lecithin. Lecithin is composed of many different components, including Choline, Inositol, Linoleic Acid, Phosphatidylserine, beneficial fatty acids and triglycerides. These valuable constituents of Lecithin are vital for the proper functioning of many metabolic processes. 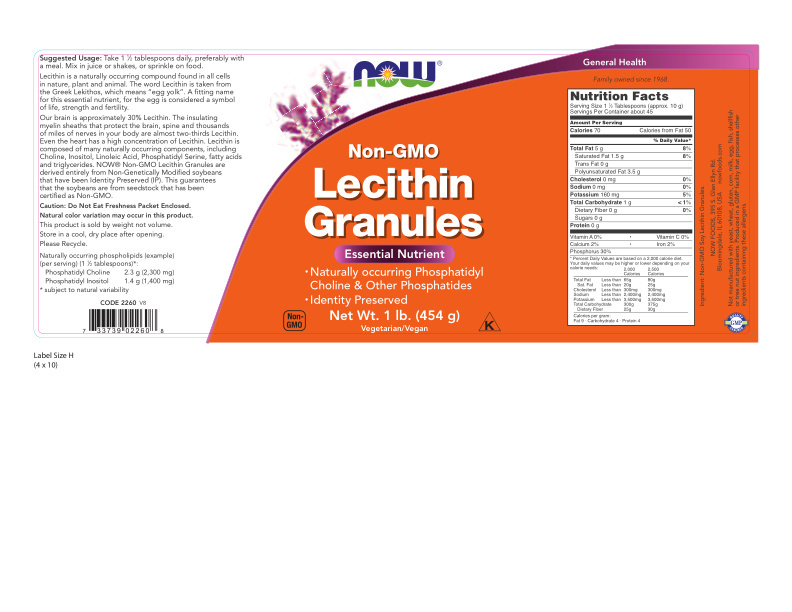 * NOW® Non-GMO Lecithin Granules are derived entirely from Non-Genetically Modified soybeans that have been Identity Preserved (IP). This guarantees that the soybeans are from seedstock that has been certified as Non-GMO. This product is sold by weight not volume.